Steve Adachi is long known to many PFF members, as a staff member of both the former California Fly Shop and currently Lost Coast Outfitters. Steve is a very innovative and creative fly tyer, as well as an excellent fly fisherman. 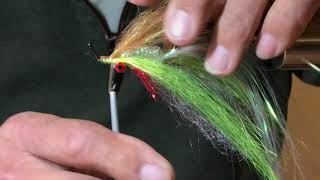 Steve ties flies for renowned California Delta fly fishing guide Mike Costello, and was kind enough to share his Rattle Clouser fly recipe and techniques at our March 2019 Workshop. This fly is built in two parts. Links below are to YouTube videos for each part. Part 1 - Build the body. This includes attaching the rattle, barbell eyes and tail. Because Steve uses epoxy to fasten and coat these materials, he typically builds a batch of fly bodies to set aside and dry. Part 2 - Build the fly. This includes tying on the rest of the body materials and finishing the fly. 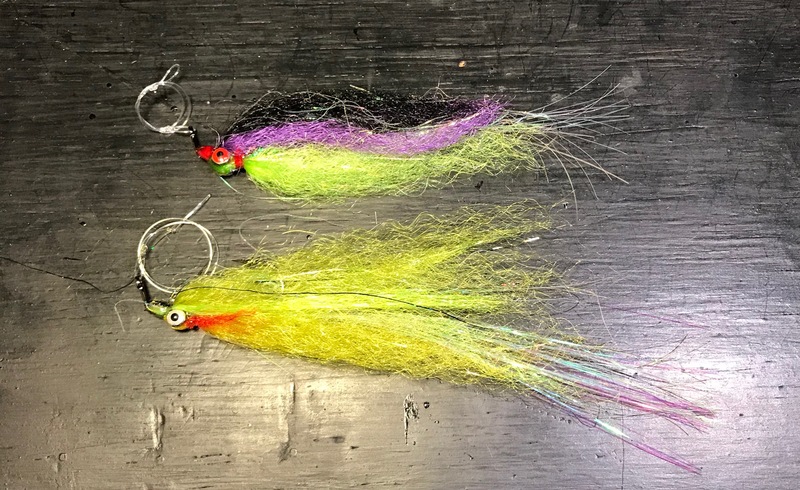 Size: 2/0 - 3/0 for stripers. Cannot use smaller than size 2/0 to fit rattle on inside of hook bend. Tail: Pearl Flashabou — Extra limp Tinsel Flash, from Hedron. You can double over a few strands and tie down to shank of hook. Thread: 4 lb Sun line monofilament. You can buy large spools of this at Hi’s Tackle in South San Francisco and then with a hand drill, spool this onto an empty thread spool. Steve likes the Sun brand because the mono stretches and allows him to tighten it while wrapping and securely fasten materials. Body: Slinky Flash — White on bottom, after flipping fly over, electric yellow for lateral line and redfish for upper wing. Black on very top. You can literally use all combinations of colors depending on the fishery and target species!